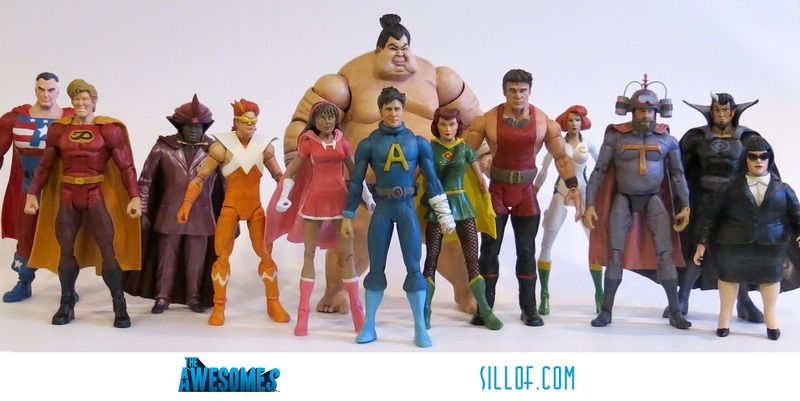 The Awesomes is an original animated show on Hulu. 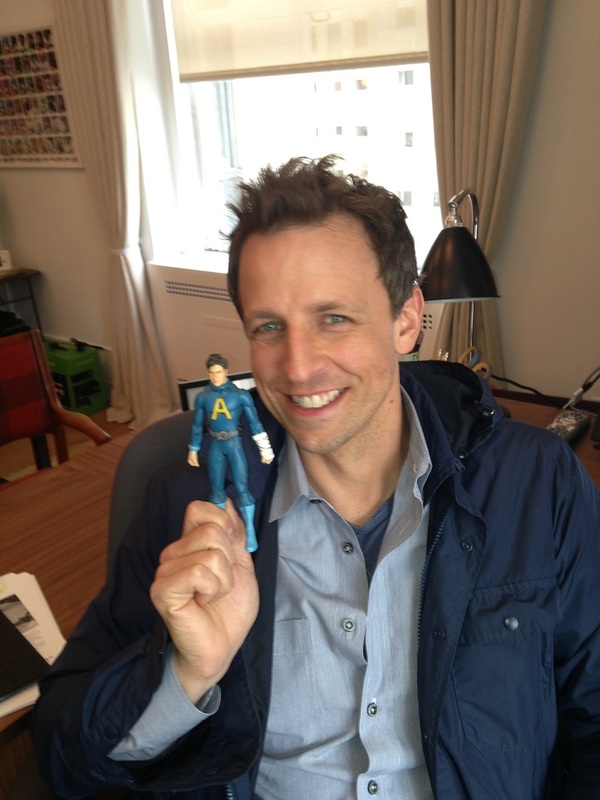 The show is produced by Seth Meyers, Mike Shoemaker, and Lorne Michaels. The show is animated by Bento Box (Bob’s Burgers, & Brickleberry). It is about the son of a famous hero trying to form a new squad of mostly B teamers in the wake of his father’s retirement. The show is hilarious and should be a must watch for fan’s of comics, animation, or any of the show’s amazingly funny voice talent. Here is a link to the show’s official page on Hulu. The line was great fun and watching the show was some of the best homework you could ask for. It was in all honestly the biggest and most challenging commission I have taken thus far. I tried to blend the animated look of the show with a more realistic feel and somewhat blend the likeness of the voice actors were I could. Prock is the leader of the team and the “brains” of the group. He is slightly injury prone and longs to live up to his father’s legacy. Muscleman is Prock’s super strong and super positive best friend. Hotwire has the power to generate and manipulate electricity. She is the only member of the team who actually applied to be on the team. Gadget gal is a founding member of the original Awesomes who had gotten old and retired but was hit by a rejuvenation ray that returned her to her prime. Frantic is the speedster of the group who is new to the hero game but he more than makes up for with his hyperactive enthusiasm. 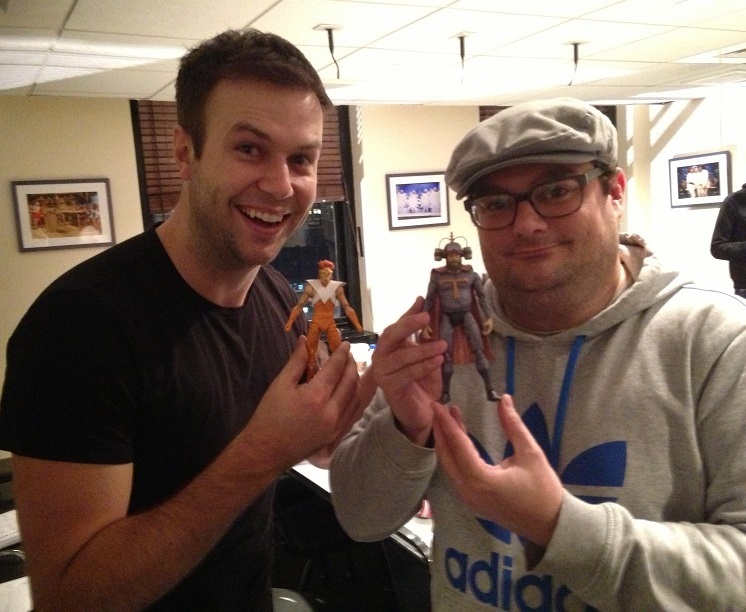 Taran Killam (left) with his Frantic figure. Impresario has the ability to mentally conjure things to interact with the world around him, but everything he conjures ends up taking the form of his domineering mother. Sumo is actually Tim, an 11 year old boy, who can transform into a super strong, adult sumo wrestler. Teleportation Larry is added to the Awesomes roster after a member quits the team. On a personal note I found the idea of a drunk with the power of teleportation hilarious. The fact that he was being voiced by the same comic that does Drunk Uncle on SNL was icing on the cake. 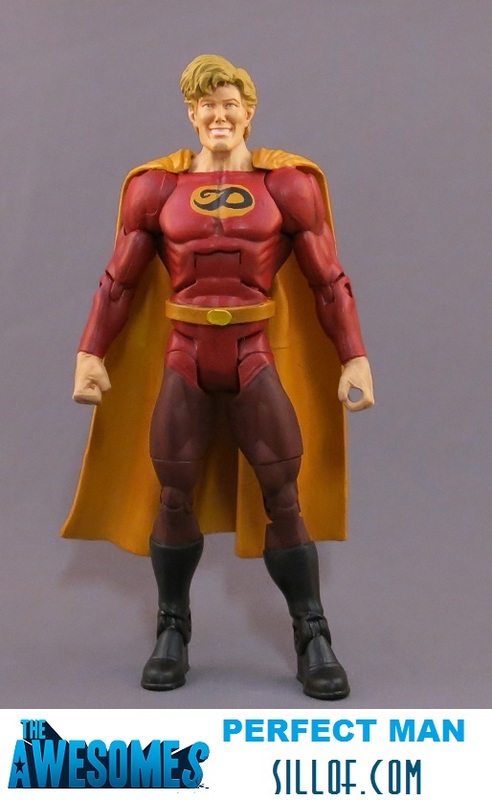 The figure also turned out to be my favorite and the one I hated to ship out. Concierge is the teams secretary who helped Prock form the team. This reflects her newer more active outfit. Malocchio is the super villain of the show who has the power to control people’s minds. Mr. 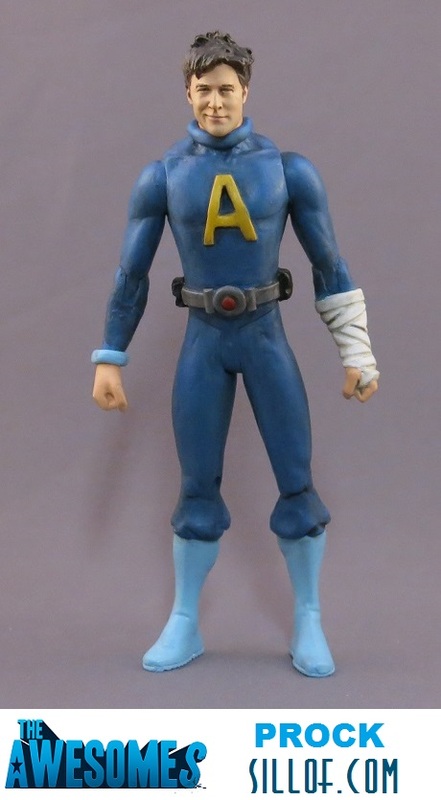 Awesome was the founding member of The Awesomes. His retirement prompts the start of the show and the forming of the new team. Perfect Man is the is the glory hound member of the main Awesomes team that turns down Mr. Awesomes request to take over the team which prompts Prock to form the shows main lineup. Joyce Mandrake is the Awesome government liaison who gives Prock a limited window to find a new lineup for the Awesomes.